The Earth is covered by atmosphere. Some of the gases might have belonged to the original ‘cloud’ which had given birth to the solar system. Others have originated from the Earth itself. And still others are a ‘consequence’ of ‘life’. Oxygen, for instance. And some of the CO2. The land crust has rocky cliffs and fertile plains. While the rocky cliffs are a consequence of geology, the fertile topsoil is the consequence of the elements having eroded the cliffs, the debris being transported by flowing water, plant life taking hold and slowly transforming some of the minerals into organic matter, animals eating some of the plants and transforming them into feces, micro-organisms digesting/recycling those feces together with the dead plants and animal carcasses… And so on. So, in this case, living cells have internal divisions, each surrounded by ‘secondary’ membranes. Furthermore, this type of organisms may consist of more than one cell. Many of them – including us, humans, actually comprise many layers of cells. Skin, muscle, bones, ‘internal’ organs, brain… Each of them carefully constructed using building blocks taken, with the help of the digestive system, from the environment. But what about the brain? What role does it play? What is it? An ‘internal organ’ or just another descendant of the membrane? I’ll let you make that call. I’ll only mention that the brain ingests information, digests it and then ‘excretes’ decisions. Which coalesce into ‘fate’/’destiny’, are remembered as ‘history’ and eventually end up as ‘tradition’. Only the last instance was different. The context was a lot more serious than usual. We were discussing ideas! Individual, social, freedom… and we were doing it in English – my ‘second’ language. Hence I was a tad more alert than when chatting away in Romanian. Have you noticed that in English ‘you’ has three meanings? A singular ‘you’, a plural ‘you’ and a formal ‘You’ which covers both singular and plural. In French we have ‘tu’ for singular and ‘vous’/’Vous’ for both plural and formal. In Romanian, ‘tu’, ‘voi’ and ‘Dumneavoastra’/’Domniile Voastre’. Literally, ‘Your Lordship’/’Your Lordships’. I’m not going to delve into Humboldt’s linguistic relativity hypothesis at this point. It would be very interesting but I have something else in my mind. I’m going to answer the question ‘personally’. Influenced, indeed, by Maturana’s opinion that human consciousness (self awareness) has blossomed at the intersection between our brain power, our ability to communicate verbally with each other and our emotionally driven memory. Neither of us could have existed independently. None of us could have given birth to themselves… obviously. But also none of us would have been what we are today without having been raised by and educated in our respective communities. By the ‘you’-s to which each of us belong. On the other hand, none of these communities would have ever existed without the individuals who compose them AND without those individuals being self aware enough to notice their existence. ‘Their existence’ meaning both the existence of the individual personalities which compose the communities and that of the communities themselves. To simplify matters a little bit, we – as individuals, depend on the well being of the communities to which we belong while we – as communities, depend on the self-awareness of the individuals who animate each of the communities. If we add the piled up consequences of all the decisions we – as a species, have ever made we end up with ‘culture’ and the present state of the environment which surrounds us – also known as ‘civilization’. I’ll leave these for another time. Nowadays, too many individuals are afraid of freedom. Specially of other people’s freedom, since other people’s freedom might bring in ‘unwelcome’ change. Other people’s freedom might challenge our established way of life. History strongly suggests that societies which had considered the stability of their ‘established way of life’ to be more important than the freedom of any individual member to respectfully question everything have eventually failed to preserve that over-cherished way of life. Simply because those societies had not allowed their individual members to adapt their mores to the changes which inevitably alter the ‘environment’. Liberty is of utmost importance. For both individuals and societies, equally. And, as a matter of historical fact, real – as in ‘truly functional’, freedom can be achieved only together. By the individual members of a society, acting in concert. Through a robust mechanism of checks and balances – a.k.a. real justice, based on mutual respect between the members of the society attempting to maintain this arrangement. Since we currently experience a growing distrust among the members of many societies – America and Western Europe included, no wonder that actual individual liberty is sliding down a dangerous slope. Simply because nobody is going to defend the liberty of somebody they do not trust/respect. Unul dintre motivele pentru care l-am împușcat pe Ceaușescu a fost ‘distrugerea satului românesc și a tradițiilor sale’. Foarte mulți dintre copiii țaranilor care au refuzat atunci să-și părăsească rosturile s-au risipit acum în cele 4 zări ale pămîntului…. Și nu neapărat din cauza ‘mizeriei’. Cei de-aici aveau antenă de satelit! What connects us to other people? One commonality: we share an evolutionary path with similar internal templates. That’s what the ‘House Experiment’ demonstrates so well. Asked to “draw a house as if they’re five years old,” people draw almost identical images, without looking at anyone else’s work, no matter where they come from. The drawings above are by eight people, born and/or raised in eight different countries in three continents. On the other hand, there are only two kinds of freedom. Or ‘with all others’. Also known as ‘democracy’. The real thing, of course, not the ‘mob rule’ variety which is currently creeping upon us. 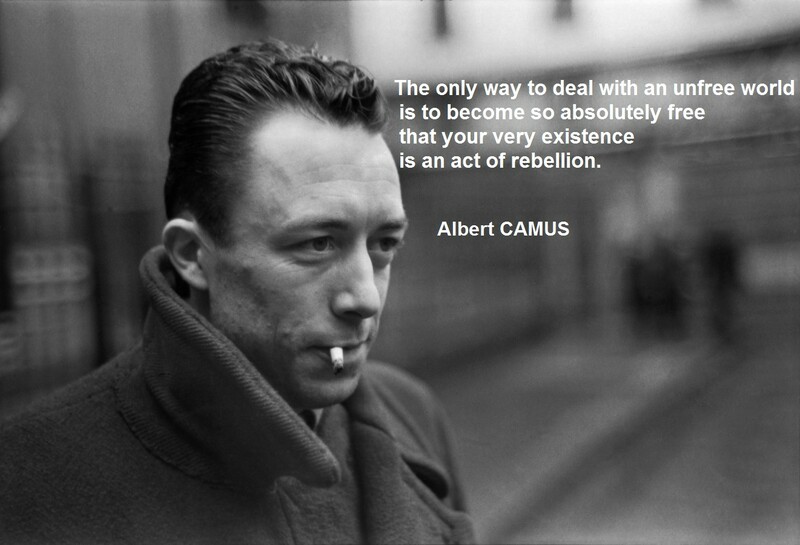 Hence the only sensible rebellion would be the one against any form of dictatorship and ‘executed’ in concert with the rest of the oppressed.